We've seen what other companies have in store for our automotive future, and now Audi's given us a glimpse of what we can expect from its car of tomorrow. The company's Silicon Valley research lab have teamed up with four universities here in the US to develop technologies that will give city drivers the full KITT treatment -- vehicles that recognize the driver (and his or her preferences) and can detect and avoid dangers and traffic delays. Called the Audi Urban Intelligence Assist initiative, each participating university has a specific area of urban mobility research ranging from urban crash analysis to aggregating historical and real-time traffic, parking, and pedestrian data in cities. The schools will also study how best to deliver relevant information to drivers and get them from point A to point B as easily and efficiently as possible. Looks like the groundwork is being laid for a German counterpart to GM's EN-V we test drove in Vegas, and we look forward to the fruits of their labor. Ich bin ein Ingolstädter! 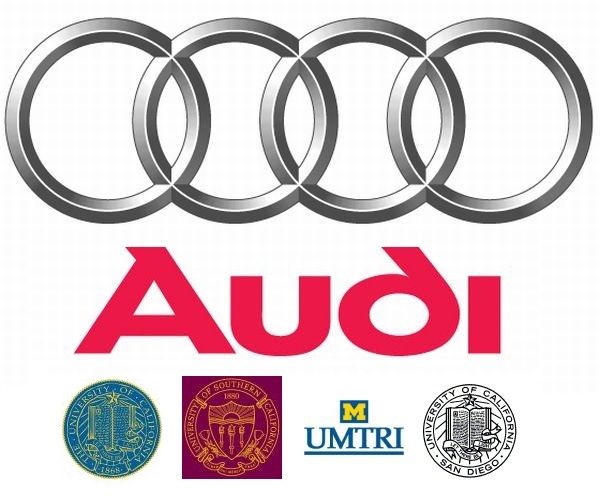 Audi commissions four US universities to research urban mobility issues originally appeared on Engadget on Thu, 20 Jan 2011 18:24:00 EDT. Please see our terms for use of feeds.